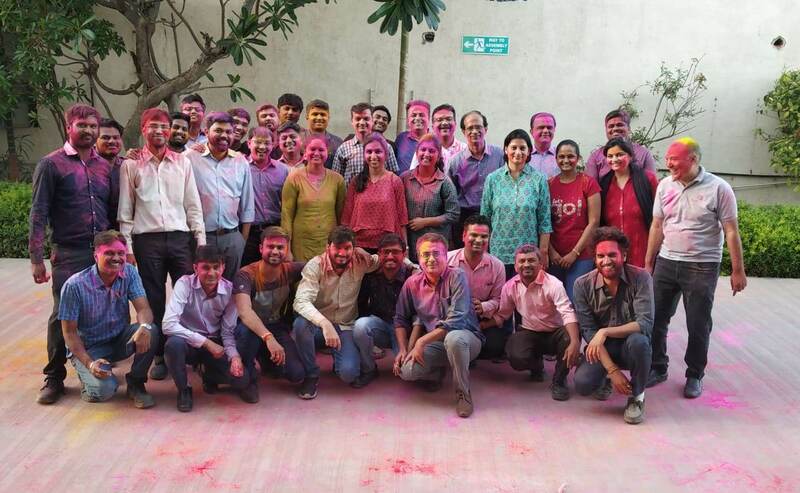 Fives Combustion Systems celebrated "Festival of Colours"
Fives Combustion Systems employees have celebrated festival of colours, called as “HOLI”on 20th March 2019. Everyone played Holi by chasing each other and throwing bright gulal and coloured water. Fives’ solutions for the Oil and Gas industry will be showcased at Print4All 2018 on May 29-June 1st, in Milan, Italy. Fives will attend the 60th Annual IEEE-IAS/PCA Cement Industry Technical Conference that will be held in the Gaylord Opryland Resort and Convention Center, May 6 - 10, 2018. Fives will attend the next IEEE-IAS/PCA Cement Conference taking place in Calgary from 21 to 25 May, to present its global offer for Cement | Minerals.